ResellerBytes Review 2019: Is ResellerBytes a Good Hosting? Web hosting company ResellerBytes is based in Karachi, Pakistan. It offers a range of hosting services, from shared web hosting to reseller hosting and dedicated servers, plus email, SSL, and other web solutions. ResellerBytes began operating in the year 2000. Today, this Karachi-based company offers shared hosting, cloud hosting, VPS, and dedicated servers along with a website builder, backups, SSL certificates, and security add-ons. ResellerBytes also provides services to register and manage over 500 gTLDs, ccTLDs, and new domains. The ResellerBytes website is in English, but its client area supports twenty-five additional languages. ResellerBytes offers four Linux shared hosting plans at each of its five server locations (U.S., U.K., India, Turkey, and Hong Kong). These plans differ in terms of disk space (1 GB-unlimited) and bandwidth (10 GB-unlimited). The company also offers four similar shared Windows hosting plans at each of the five server locations. In addition, you will find Linux and Windows multi-domain hosting, Linux and Windows reseller hosting, managed hosting, SSD hosting, SSD VPS, cloud VPS, and dedicated server plans. Thanks to advanced data centers and redundant SAN-powered servers, the Linux and Windows shared hosting plans are backed by a 99.99% uptime guarantee. These plans are e-commerce ready since they support Zen Cart, CubeCart, Magento, and osCommerce. 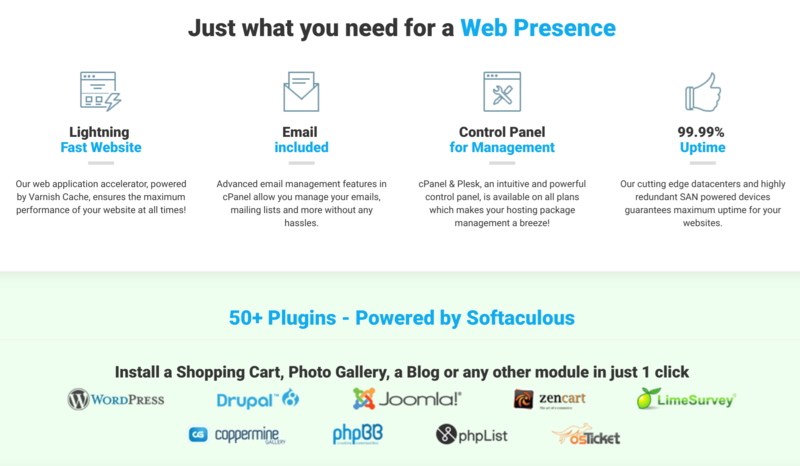 ResellerBytes also offers 25,000+ WordPress themes and pre-integrated SEO-friendly modules so you can build anything from a blog to an online store with WordPress. Alternatively, you can easily create and publish your website with the free and paid versions of the Weebly and Impress.ly website builders. For improved performance, ResellerBytes uses RAID 10 pure SSD storage and has CDN caching auto-configured on all its WordPress packages. ResellerByte’s Linux and Windows shared hosting plans are cheap, but as you would expect, the Linux plans are slightly cheaper than the Windows plans. You can pay for plans in U.S. dollars or Pakistani rupees by bank transfer or PayPal. The available billing cycles are annual, biennial, and triennial, and all plans come with a “no questions asked” money-back guarantee that will refund the remaining portion of your hosting within a week of you asking. You should check the company’s promo page that often offers free trials or discounts. In fact, the first time I visited this provider’s web page, I was presented with a pop-up providing a coupon code for a 30-day free trial. For self-help, ResellerBytes provides a blog and a pretty well populated knowledge base. If you’re looking for affordably priced hosting plans with servers in multiple locations, ResellerBytes’ Linux and Windows hosting packages could be a good choice. Wondering how ResellerBytes stacks up against other Web Hosting companies? Enter any other Web Hosting company and we will give you a side-by-side comparison.